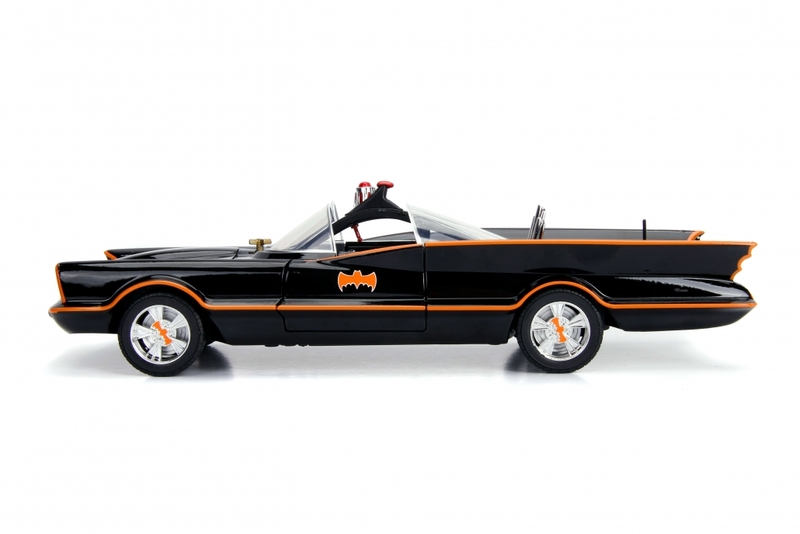 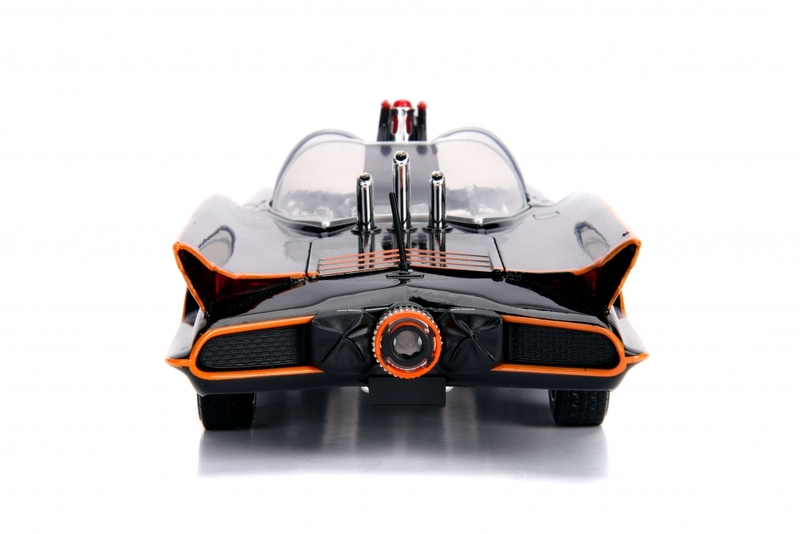 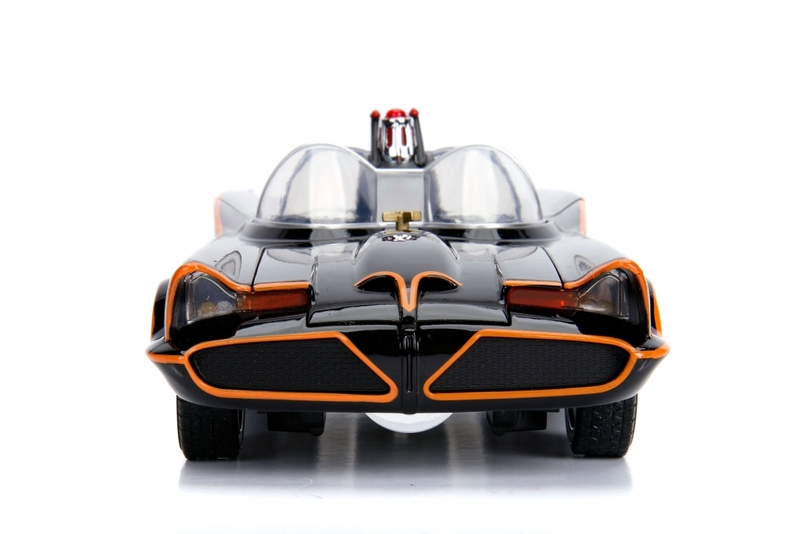 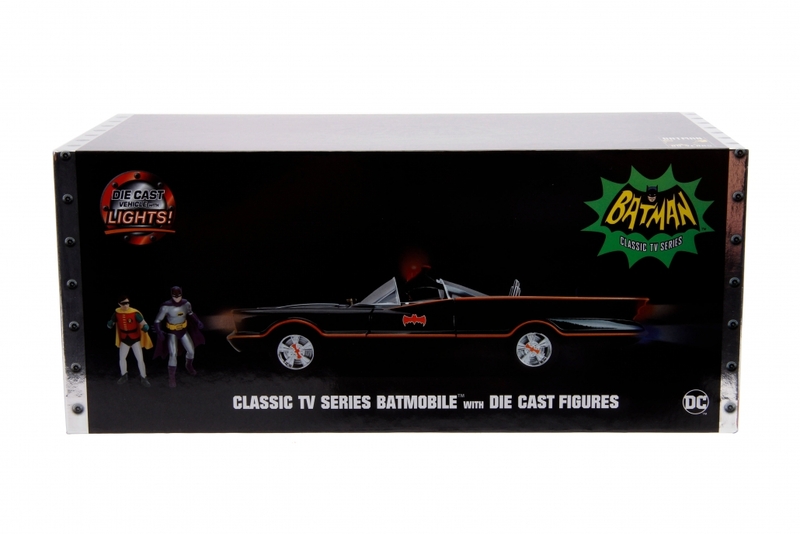 “To the Batmobile!” No Batman collection is complete without the iconic Batmobile from Batman the Classic TV Series! 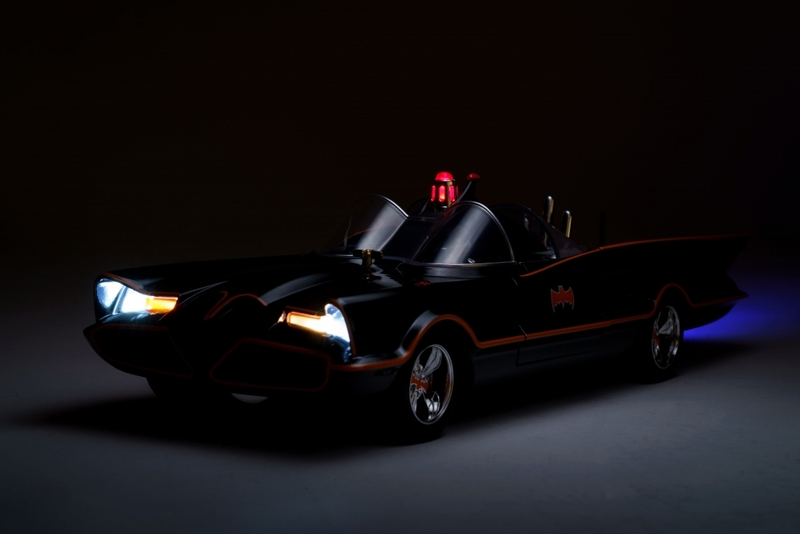 Featuring a die-cast body, rubber tires and light-up features, this 1:18 scale Batmobile is a must-have in any collection! 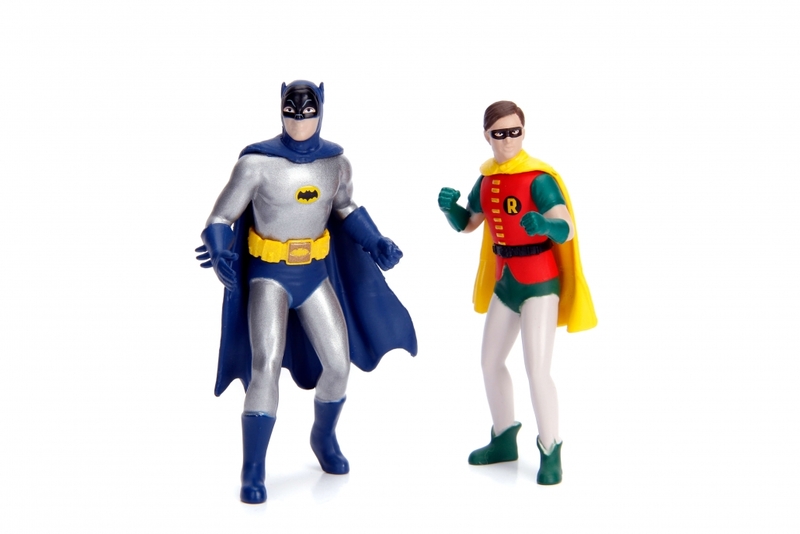 Included is a 3” tall 100% die-cast Batman and Robin figures. 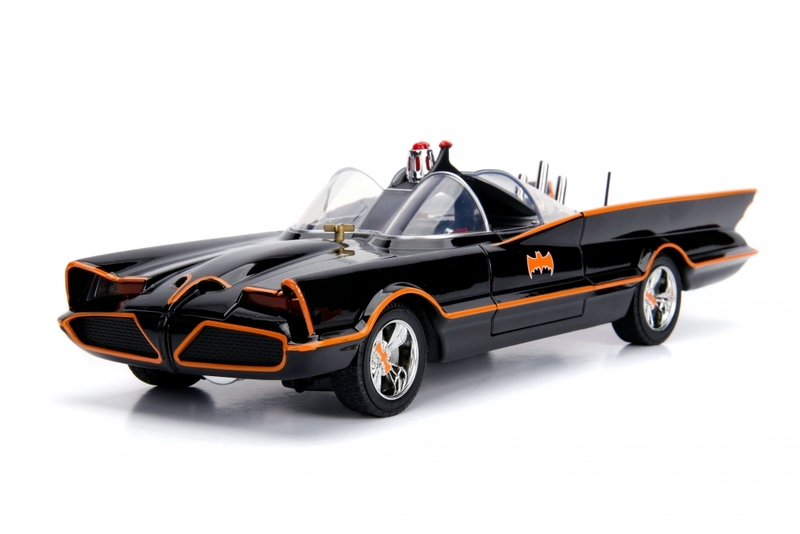 Whether on the streets or off-road, the Batmobile is formidable in all kinds of terrain! 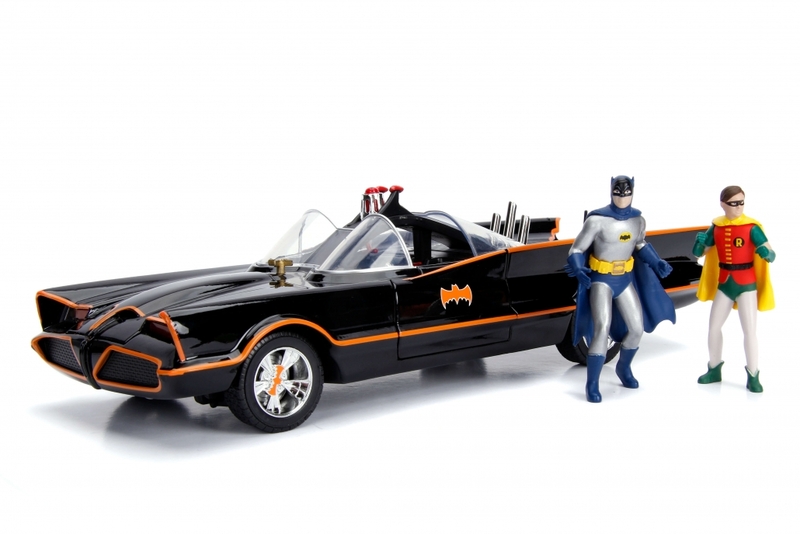 Add this to your collection today!